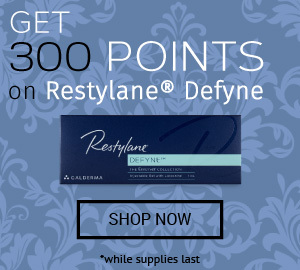 Restylane Silk is a crystal clear and colorless injectable soft tissue filler that is formulated by Q-Med, which is a subsidiary of Galderma. It is made of 20mg/ml of cross-linked and non-animal stabilized hyaluronic acid (NASHA) molecules. The resulting gel has a smooth consistency and is a great choice for lip enhancement. Juvederm is a brand of hyaluronic acid-based fillers. Like Restylane, Juvederm has a wide range of cosmetic injectables. Each of these fillers is designed to correct specific concerns. Included in the Juvederm range is Juvederm Volbella, a similar filler to Restylane Silk. Volbella contains 15mg/ml of cross-linked hyaluronic acid from a non-animal source. Patients love this filler due to its long-lasting results. Where areas are Restylane Silk and Juvederm good for? Both Restylane Silk and Juvederm Volbella are indicated for injection into the perioral area and lip augmentation. Due to the formulations, these fillers are usually chosen based on practitioner preference. Unlike other lip fillers, Restylane Silk and Volbella are popular choices to rejuvenate the lip area. Not only can they plump the lips, but they can get rid of vertical lip lines without adding too much volume, smoker’s lines, and other perioral wrinkles. How does Restylane Silk compare with Juvederm Volbella? Though both brands share the same active ingredient, they have different gel consistencies and in turn different aesthetic outcomes. Compared to the biphasic nature of Restylane Silk in which the NASHA molecules are homogenously suspended in a non-cross-linked hyaluronic acid matrix, Juvederm fillers are monophasic. They are made of a single phase of hyaluronic acid molecules tightly bound to each other. A randomized study involving 221 test subjects seeking lip augmentation from 14 investigational centers found that Restylane Silk is both effective and safe. These patients received Restylane Silk injections for the correction of thin lips and perioral lines (as required) or no treatment at all (control group). Of the patients, 133 underwent a repeat treatment session with Restylane Silk at the six-month mark. Approximately 98% of these subjects reported significant improvement in lip fullness two weeks after the initial injection session. Besides that, 76% of the test subjects still experienced improvements in both their upper and lower lips six months after the first treatment session. Patients with perioral lines also experienced significant aesthetic improvements following the injection of this filler. In comparison, a randomized study involving 280 participants receiving either Juvederm Volbella or Restylane-L found that patients did prefer Juvederm Volbella. Of the participants, 90.2% of the Juvederm Volbella group reported being very satisfied at the three-month mark. As well, the manufacturer boasts results last for up to 12 months. Based on study findings, there is also a possibility that Juvederm induces fewer inflammatory responses. Which filler is most recommended for lip augmentation? Clinical evaluation of these fillers demonstrate that Restylane has a higher level of stiffness compared to Juvederm fillers. As such, Restylane is a better choice for sculpting lip borders that have thinned with age or are riddled with perioral lines. However, since certain Juvederm fillers are more cohesive and have a higher spreadability compared to Restylane Silk, they are more suitable for adding volume to the lips. Both fillers are extremely effective when used for lip rejuvenation. Depending on your concerns, be it thinning lips or perioral lines, one filler may work best. Discuss your expectations with your doctor to determine which filler is most suitable for you.